Daring Fireball has published a thoughtful opinion piece on Apple's latest version of iTunes. "There are redesigns and there are redesigns. This one’s the real deal. It’s not a rewrite though. Clearly, in its heart, under the hood, this is still the same iTunes. 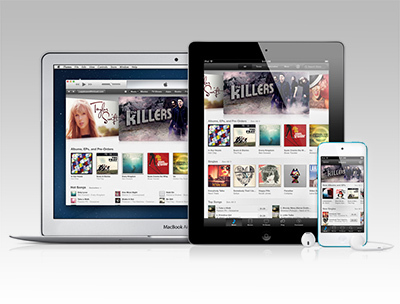 Apple has addressed the biggest problem with iTunes 10: its presentation was severely cluttered." "iTunes 11 is a redefinition of what it means to be a modern Mac app. There’s an iOS-inspired emphasis on putting less stuff in your face at the same time." "I think my favorite new design element is what Apple is calling “Expanded View”. In a graphical list of albums or movies or shows, you click one and it opens in a subview right there under the album/movie/show. Instead of going to a new view, you stay where you are." "Everything in the main window is set in Helvetica. Looks good on regular Macs, looks downright gorgeous on a retina MacBook Pro." 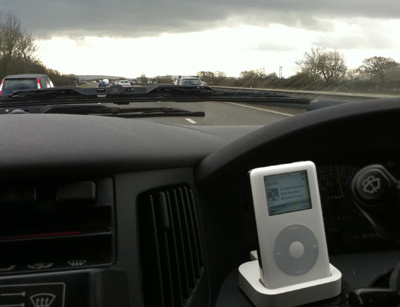 "MiniPlayer is actually a separate window from the main iTunes window. The green zoom button now behaves like a standard one, and they’ve added a new MiniPlayer toggle button in the top right corner, next to the standard full-screen mode button." Google announced Tuesday that it will be integrating Google Drive into Gmail, a move that will make it possible to 'send' files up to 10GB over email. 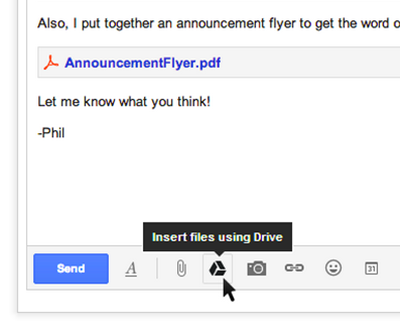 A new button in the Gmail compose window will give users the ability to attach a file from their Google Drive account rather than attaching the file itself to the message. Once it’s attached, Gmail will ensure that your recipient has permission to view the file in your Drive account -– or will prompt you to grant that permission –- and then sends the message. The feature works not only for files you attach to the message, but also for links to items stored in Google Drive you paste into a message. Following the extinction of gloriously bulky CRT video projectors, big screen aficionados have had a clear choice between LCD and DLP. Both technologies are capable of great results, yet have distinct weaknesses: single chip DLP projectors often suffer from rainbow fringing, created by the use of a spinning colour wheel, while LCD models struggle to distinguish tomatoes from oranges. But now there’s a third option, Laser Hybrid LED. Viewsonic’s £1600 Pro9000 is the first such out of the gate, although a number of brands will also be introducing the technology. It’s a good-looking 1080p model aimed at the mainstream home cinema market. Just to put things in perspective, the Epson EH-TW6000 is a typical LCD-based home cinema projector, priced at around £1300. It has a typical quoted lamp life of around 4,000 hours but will gradually lose colour intensity and brightness. Brightness is quoted at 2,200 ANSI lumens and contrast at 40,000:1. A replacement bulb will set you back around £200. The average power consumption of the Epson is 356W. The Viewsonic, by comparison, is rated at 186W in its brightest configuration. Hence, using a solid state glow stick means no replacement lamps will be required and more efficient power consumption. ViewSonic quotes a life span of 20,000 hours for the LED light source, as well as a 100,000:1 dynamic contrast. he projector offers Instant On. The image is at full intensity immediately, there’s no prolonged warm up period. Secondly, it runs cool, even after hours of use. It’s a tad noisy at 28dB. You’ll need to enter Eco while in Theatre mode to really drop the volume to a more socially acceptable 22dB. The projector doesn't exhibit the same clinical delineation commonly associated with single chip DLP. The result is very cinematic, with colour performance a particular strength. Skin tones are nuanced and believable; deep reds, so often the bane of LCD, exhibit stunning fidelity. 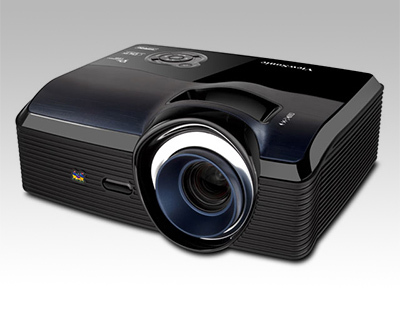 The projector’s light output is rated at 1600 lumens, which in a fully dark room is generally acceptable. At 4m you can throw an image measuring 120-inches diagonally. However, stray ambient light quickly diminishes contrast and colour. You can’t use the Pro9000 effectively in a partially lit lounge. There are other caveats too. 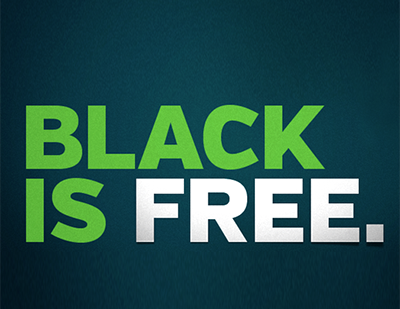 Truly deep blacks prove elusive and shadow detail is hard to find. Trees by night take on a blobbyness that wouldn't disgrace Noel's House Party. On the plus side, there's no overt pixel noise either, which at least lends a smooth sheen to darker scenes. 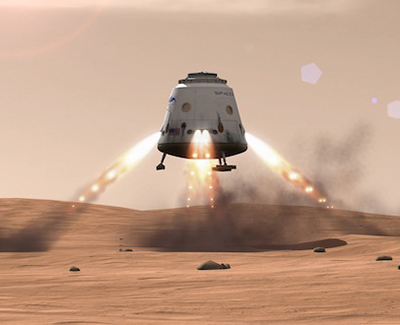 Elon Musk doesn’t just want to send a person to Mars — he wants to send 80,000. According to Space.com, the billionaire founder and CEO of the private spaceflight company SpaceX spilled details about his hopes for a future Mars colony during a talk at the Royal Aeronautical Society in London on November 16. Earlier this year, SpaceX became the first private U.S. company to deliver cargo to the International Space Station. Musk has never been shy about his ambitions to take human colonists to another planet, mentioning in the past that he wants to provide flights to Mars for about $500,000 a person. But now he’s talking about building a small-city-sized settlement on the Red Planet, starting with a 10-person crew in the coming decades to begin establishing and building infrastructure. That first flight would be expensive and risky but “once there are regular Mars flights, you can get the cost down to half a million dollars for someone to move to Mars,” Musk told Space.com. ”Then I think there are enough people who would buy that to have it be a reasonable business case.” Musk added that he sees the future 80,000-person colony as a public-private enterprise costing roughly $36 billion. Classic Match Foosball is a miniature foosball table, complete with two-axis control bars. CMF's creators promise that these "tactile elastomer handles provide a multi-sense immersive experience." 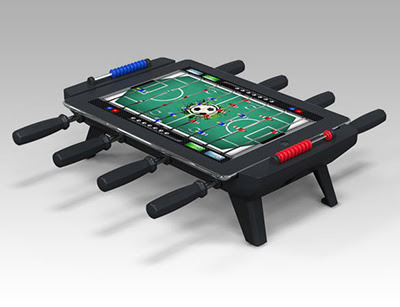 All you need for your foosball fix is the $99 CMF and its iOS app, available free from the iTunes Store – although you'll need to wait until both ship. 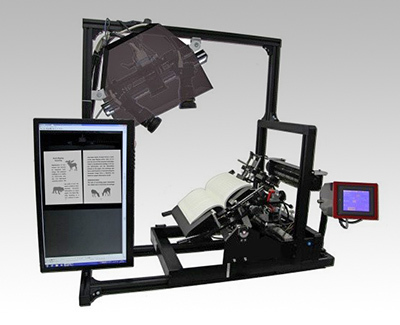 With help from the University of Tokyo, Dai Nippon has created a book scanner that can plow through texts at up to 250 pages each minute. A mechanism flips through pages at lightning speeds while a pair of cameras overhead snap detailed images of each sheet as it flies by. Special software then flattens out the photos and turns the picture into a machine readable, 400 pixel-per-inch scan that can easily be converted to PDF, EPUB or other format. Unlike many other high-speed scanners, this doesn't require a book be damaged by removing the pages. In fact, it's quite similar to Google's creation that powers Books. Dai Nippon is actually planning to bring this beast to market sometime in 2013, but it has yet to announce a price. The Ulike 2, a white 4.5-inch Android smartphone has an eight-megapixel main camera on the back, and a five-megapixel front-facing imager with beautification features (including face slimming, skin whitening, skin smoothing and more) to keep the self-portrait addicts busy. Digital Photography Review have published a comprehensive review of Panasonic's latest super-zoom digital camera. 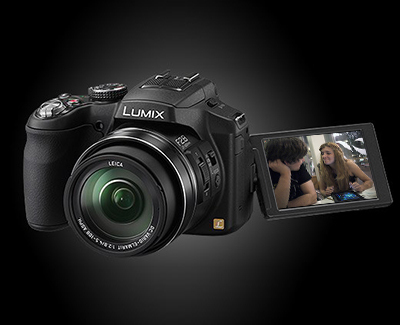 "Panasonic has returned to their roots with their Lumix DMC-FX200 super zoom camera. Gone are the days of lenses that get slower as you use more zoom power - the FZ200 can stay at F2.8 from 25 to 600 mm. You pay a premium for that, but low light and action photographers may find the FZ200 to be worth the £430/$599 price." "Beginners can feel quite comfortable uses Panasonic's Intelligent Auto mode, which remains the best point-and-shoot mode on the market. If they want a little more control, there's an iA+ mode, which lets users adjust brightness, background blur, and color balance using "sliders" on the LCD." "It's ready to take pictures one second after you flip the power switch. Focusing speeds are quite good for a super zoom, only exceeding a second in low light. I didn't notice any major shutter lag, and shot-to-shot delays were minimal, even with the flash. The FZ200's battery life is above average compared to other super zoom cameras." "The FZ200's photo quality is very good when compared to its peers. Photos are well-exposed, so you won't need to bracket every shot, as on some cameras. Colors were vibrant, and sharpness was pleasing most of the time." "The FZ200's photos are slightly noisy, even at ISO 100, though that's better than previous models which smudged away fine detail. Things don't get really noisy until ISO 800 in low light and ISO 3200 in good light." "It's hard not to like the Panasonic Lumix DMC-FZ200. It has all the bells and whistles that you'd expect on a high-end super zoom, plus an F2.8, 25-600 mm lens that no other camera can match." 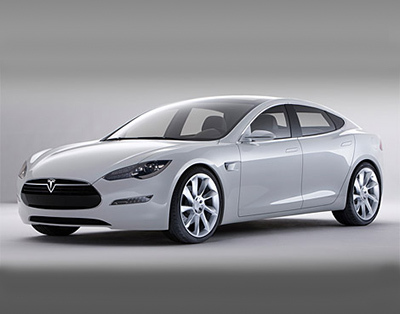 Motor Trend has published a review of its 2013 Car of the Year. [this is] the first time their top prize has gone to an electric car. It is one of the quickest American four-doors ever built. It drives like a sports car, eager and agile and instantly responsive. But it's also as smoothly effortless as a Rolls-Royce, can carry almost as much stuff as a Chevy Equinox, and is more efficient than a Toyota Prius. Oh, and it'll sashay up to the valet at a luxury hotel like a supermodel working a Paris catwalk. By any measure, the Tesla Model S is a truly remarkable automobile, perhaps the most accomplished all-new luxury car since the original Lexus LS 400. The magazine went on to say that "the Tesla Model S is simply a damned good car you happen to plug in to refuel". This is how environmentally friendly products win, by being better than the less green products they replace. The Rizoma 77|011 Metropolitan's beautifully bowing shape came about through a team-up between Italian motorcycle accessories company Rizoma and fashion designer Dirk Bikkembergs. 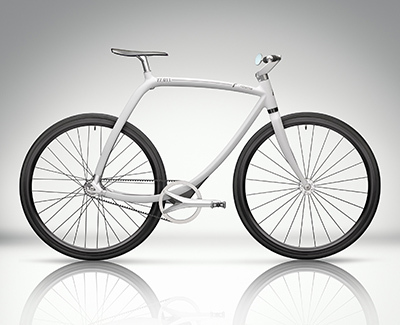 With a monobloc carbon frame and belt drive it’ll be light and easy to maintain. Add that aluminium saddle plus optional pulley brakes and it’s a solid piece of kit. The Washington Post has published an excellent article on Gabriel Weinberg and his attempt to challenge the Googles and Bings of this world with a search engine that doesn't track users or monitor their buying habits. "Not far from Valley Forge, around the corner from Bravo Pizza, up the road from Paoli Auto Body, there is an odd-looking office building that resembles a stone castle. An eye doctor is on the first floor. On the second floor is a search engine." "The proprietor of the search engine is Gabriel Weinberg, who is 33. A few years ago, when Weinberg told his wife about his new business idea — pitting him against more established outfits such as Google and Bing — he admits that she briefly thought he was nuts." "A start-up taking on Google in search is much like a raft taking on a cruise ship as a vacation option. But Weinberg is not delusional. With money lining his pockets from selling a start-up for $10 million, Weinberg bet there was a place in the market for a product capitalizing on users’ emerging annoyances with Google — its search results gamed by marketers; its pages cluttered with ads; every query tracked, logged and personalized to the point of creepiness." "He called his little search engine project DuckDuckGo, after the children’s game Duck, Duck, Goose. 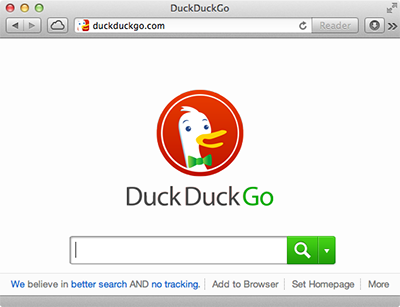 (Instead of “Just Google it,” think “Just Duck it.”)"
So: DuckDuckGo does not track users. It doesn’t generate search results based on a user’s previous interests, potentially filtering out relevant information. It is not cluttered with ads. In many ways, DuckDuckGo is an homage the original Google — a pure search engine — and its use is soaring, with searches up from 10 million a month in October 2011 to 45 million this past October." 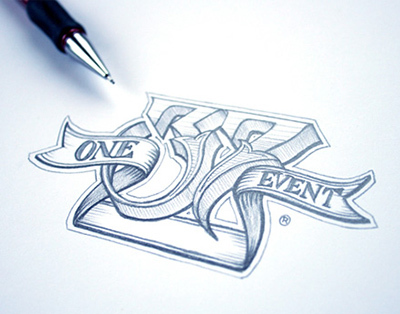 "Weinberg wanted to build a search engine that people could use quickly and purely. He wanted to focus especially on the first two or three results that users saw, but he didn’t have a lot of manpower to build a search engine from scratch. Weinberg decided to use publicly available search results from Yahoo — which is now fueled by Bing — for the bulk of his searches and use his programming talents to curate the top few links. He wanted those links to provide answers." "Going to Google and typing “calories in a banana” will produce a page of links about bananas. Going to DuckDuckGo and typing “calories in a banana” will produce an answer: 105. The answer comes from WolframAlphra, a computational database that Weinberg linked to DuckDuckGo." "He has linked hundreds of millions of popular searches to other outside data sources, such as Wikipedia and Yelp. Searching for “irritable bowel syndrome” on Google produces three ads as the top three links. The same search on DuckDuckGo produces three links about the disease from Wikipedia." Ireland's creative community got together to release a lot of pent up anger and sadness through the medium of the A3 poster, all in aid of Temple Street Children's Hospital. Microsoft Research has demonstrated not only how to convert spoken English into Mandarin with just a few seconds' delay - but also how to output that Mandarin speech in the vocal style of the original speaker. The technology was demonstrated by Microsoft's research chief Rick Rashid in Tjianjin, China, on 25 October. Rashid spoke just eight English sentences into the lab's new speech-recognition, translation and generation system, yet the company reports the Mandarin output wowed a crowd of 2000 students and academics. Microsoft's trick is to use a novel neural networking (machine learning) system that reduces word-recognition errors to one in seven or eight. That means the translation engine, Bing Translate, has a far better chance of creating intelligible Mandarin text to feed into the speaking engine. But the real prize here is the generation of Mandarin speech in a voice like that of the speaker's: if you can preserve the speaker's vocal cadence in the translation, their meaning will be more apparent and the conversation will be more effective. This was done by having Rashid train a machine-learning algorithm for a full hour, rather than the quick recitation of a stock page of text that software like Dragon Naturally Speaking asks for. All over Africa, young men and women have missioned across the country and arrived in Lagos, Nigeria. All they want to do is show off what they have made. Maker Faire Africa shows off innovations, inventions, and initiatives that solve immediate challenges and problems, and then works to support and propagate them. 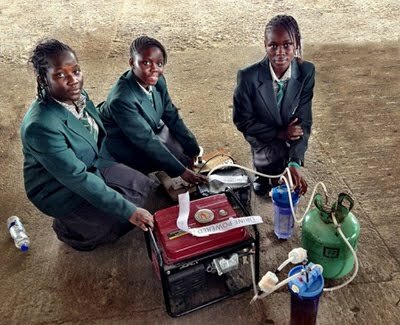 14-year-olds Duro-Aina Adebola, Akindele Abiola, Faleke Oluwatoyin, and 15-year-old Bello Eniola have created a urine powered generator. Urine is put into an electrolytic cell, which cracks the urea into nitrogen, water, and hydrogen. The hydrogen goes into a water filter for purification, which then gets pushed into the gas cylinder. The gas cylinder pushes hydrogen into a cylinder of liquid borax, which is used to remove the moisture from the hydrogen gas. This purified hydrogen gas is pushed into the generator. 1 litre of urine provides 6 hours of electricity. I just spoke with Governor Romney and I congratulated him and Paul Ryan on a hard-fought campaign. (Cheers, applause.) We may have battled fiercely, but it's only because we love this country deeply and we care so strongly about its future. From George to Lenore to their son Mitt, the Romney family has chosen to give back to America through public service. And that is a legacy that we honour and applaud tonight. (Cheers, applause.) In the weeks ahead, I also look forward to sitting down with Governor Romney to talk about where we can work together to move this country forward. To the best campaign team and volunteers in the history of politics – (cheers, applause) – the best – the best ever – (cheers, applause) – some of you were new this time around, and some of you have been at my side since the very beginning. I know that political campaigns can sometimes seem small, even silly. And that provides plenty of fodder for the cynics who tell us that politics is nothing more than a contest of egos or the domain of special interests. But if you ever get the chance to talk to folks who turned out at our rallies and crowded along a rope line in a high school gym or – or saw folks working late at a campaign office in some tiny county far away from home, you'll discover something else. That's why we do this. That's what politics can be. That's why elections matter. It's not small, it's big. It's important. Democracy in a nation of 300 million can be noisy and messy and complicated. We have our own opinions. Each of us has deeply held beliefs. And when we go through tough times, when we make big decisions as a country, it necessarily stirs passions, stirs up controversy. That won't change after tonight. And it shouldn't. These arguments we have are a mark of our liberty, and we can never forget that as we speak, people in distant nations are risking their lives right now just for a chance to argue about the issues that matter – (cheers, applause) – the chance to cast their ballots like we did today. We want our kids to grow up in a country where they have access to the best schools and the best teachers – (cheers, applause) – a country that lives up to its legacy as the global leader in technology and discovery and innovation – (scattered cheers, applause) – with all of the good jobs and new businesses that follow. 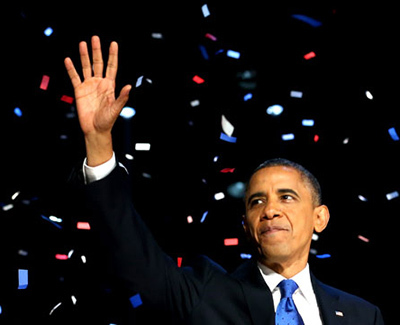 We want to pass on a country that's safe and respected and admired around the world, a nation that is defended by the strongest military on Earth and the best troops this – this world has ever known – (cheers, applause) – but also a country that moves with confidence beyond this time of war to shape a peace that is built on the promise of freedom and dignity for every human being. We believe in a generous America, in a compassionate America, in a tolerant America open to the dreams of an immigrant's daughter who studies in our schools and pledges to our flag – (cheers, applause) – to the young boy on the south side of Chicago who sees a life beyond the nearest street corner – (cheers, applause) – to the furniture worker's child in North Carolina who wants to become a doctor or a scientist, an engineer or an entrepreneur, a diplomat or even a president. That's the – (cheers, applause) – that's the future we hope for. But that doesn't mean your work is done. The role of citizens in our democracy does not end with your vote. America's never been about what can be done for us; it's about what can be done by us together, through the hard and frustrating but necessary work of self-government. (Cheers, applause.) That's the principle we were founded on. And I saw it just the other day in Mentor, Ohio, where a father told the story of his eight-year-old daughter whose long battle with leukaemia nearly cost their family everything had it not been for healthcare reform passing just a few months before the insurance company was about to stop paying for her care. (Cheers, applause.) I had an opportunity to not just talk to the father but meet this incredible daughter of his. And when he spoke to the crowd, listening to that father's story, every parent in that room had tears in their eyes because we knew that little girl could be our own. And tonight, despite all the hardship we've been through, despite all the frustrations of Washington, I've never been more hopeful about our future. (Cheers, applause.) I have never been more hopeful about America. And I ask you to sustain that hope. America, I believe we can build on the progress we've made and continue to fight for new jobs and new opportunities and new security for the middle class. I believe we can keep the promise of our founding, the idea that if you're willing to work hard, it doesn't matter who you are or where you come from or what you look like or where you love. It doesn't matter whether you're black or white or Hispanic or Asian or Native American or young or old or rich or poor, abled, disabled, gay or straight. (Cheers, applause.) You can make it here in America if you're willing to try. 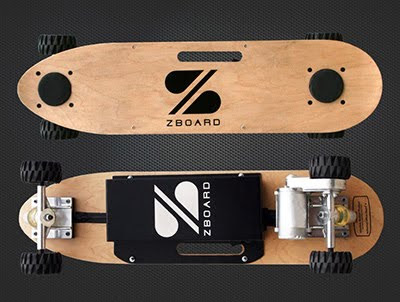 The ZBoard is a weight-sensing electric skateboard. To ride simply lean forward on the front footpad to accelerate and lean back on the rear footpad to brake. 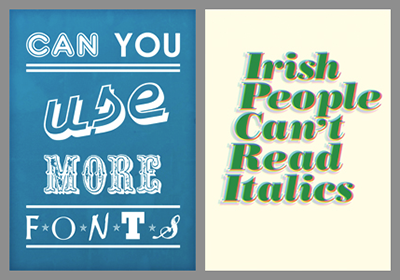 Verb from Yellow Design Studio is an 18-font sans-serif family that’s friendly and approachable, but trades huggable roundness for confidence and energy. Verb is lively, motivated and industrious but not too busy to say “hello”. It’s packed with features including true italics, small caps, ligatures, oldstyle and tabular numerals and extensive language support. This table is ideal for putting a little extra fun into dinner times and boardroom meetings. 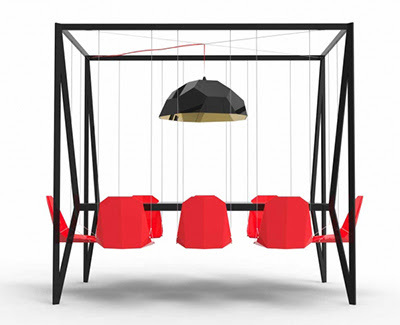 It uses its structure to suspend a central GEO lampshade and eight hanging chairs. This design creates an exceptionally fun experience and aesthetic, creating a room within a room, with chairs that float around the table, which also make vacuuming a breeze. Available in bespoke finishes and sizes. (H)220cm (L)235cm (D)135cm. 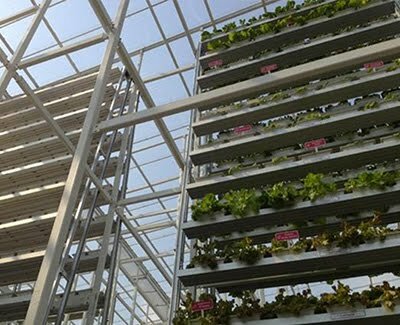 The first commercial-scale vertical farm has opened in the tiny, densely populated city of Singapore, with the aim of decreasing dependence on food imports. The vertical farm, which has been developed by Sky Green Farms, consists of 120 aluminum towers, each extending up almost 30 feet in height. It can produce over 1,000 pounds of three kinds of vegetables per day, all of which are sold in the local FairPrice Finest supermarkets. The company is looking for investors to allow it to produce two tons of vegetables per day. 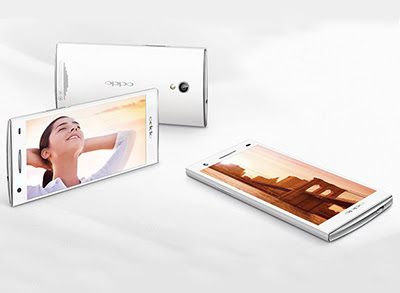 "It’s really light and easy to hold one-handed. The hardware design — chamfered edges, less tapered back, metal rather than plastic buttons — strikes me as better, more elegant, than that of the full-size iPad 3/4." "But it’s disappointing to go non-retina after using the retina iPad for the last seven months. I adore the size and form factor of the iPad Mini, but I also adore the retina display on my full-size iPad. 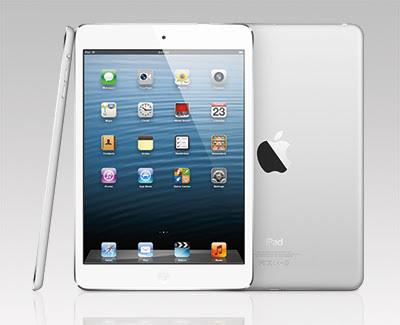 My ideal iPad would be a Mini with a retina display." "After a week of using it as my main iPad, the individually discernible pixels are no longer jarring to my eyes. The non-retina resolution is the one and only significant complaint I have with the iPad Mini, and it’s an issue that is only apparent to those of us who already own a nearly-new iPad." "The Mini weighs less than half a full-size iPad 3 or 4, and the difference that makes is tremendous... it’s just plain fun to hold." "It also seems optimised for kids. My third-grade son loves the size and weight of the Mini. Reading apps may not be computationally taxing, but games are, and there is no compromise in the iPad Mini’s performance. In both the Geekbench and SunSpider benchmarks, the Mini performs identically to the iPad 3." "If the Mini had a retina display, I’d switch from the iPad 3 in a heartbeat. As it stands, I’m going to switch anyway. Going non-retina is a particularly bitter pill for me, but I like the iPad Mini’s size and weight so much that I’m going to swallow it."